There's something remarkably thrilling about whipping past snow-dusted trees and frozen lakes at high speeds. Powering through winter in Montana is easy, with miles of steep climbs and flat trails, and acres of backcountry playgrounds, as well as logging and forest service roads (closed by winter's snowfall)—a paradise for sledders. Our endless—and stunning—winter terrain can be explored by sled with or without a guide. See below for more information on where and how to sled Western Montana. For a detailed map of clubs in our area, see this map here. Those who like their winters wild can test their mettle at northwest Montana's Marias Pass Trail Complex. Straddling the Continental Divide, these trails are rugged and remote. 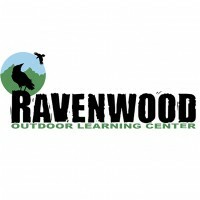 A wide range of riding is available, from intermediate to expert, on 45 miles of groomed trails and another 35 miles of ungroomed trails. Guides are advisable on some trails. Steep slopes and sudden storms make for extreme weather conditions. Popular trails originating at Marias Pass are Two Medicine, Skyland and Pike Creek. These are rugged trails on the Lewis and Clark and Flathead National Forests south of Glacier Park and north of the Great Bear Wilderness. There are additional ungroomed trails in the area. Marias Pass is midway between Cut Bank and Kalispell on U.S. Highway 2. Amtrak has scheduled east-west service with winter stops in Cut Bank, Browning, Essex, West Glacier and Whitefish. Northwest Montana's recreation wonderland boasts over 200 miles of groomed snowmobile trails, with nearly 2,000 miles of Forest Service roads that take you into great hill climbing, powder play areas, wildlife viewing and spectacular ridgetop views of Glacier National Park and the Canadian Rockies. Add that to the 3,000 acres of terrain at Whitefish Mountain Resort, ample cross-country and Nordic skiing, ice fishing, ice skating and dog sledding and you have a true winter playground. 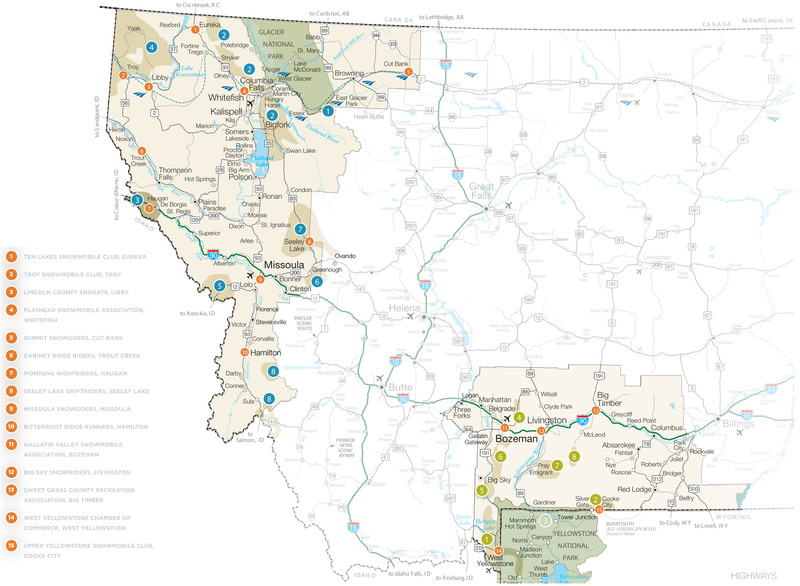 The Flathead Valley encompasses the communities of Columbia Falls, Whitefish, Kalispell and Bigfork in northwest Montana and can be accessed via US 93 and US 2. Air service is centrally located at Glacier Park International Airport. Amtrak has regular east-west rail service to Whitefish, just minutes from trailheads. 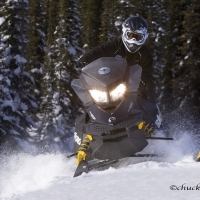 Haugan offers snowmobiling opportunities for all abilities. 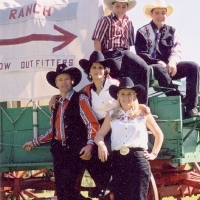 It's one of those great places that combines vast riding possibilities with a family atmosphere. Trails begin right off I-90, with lots of cross-country ski trails nearby as well. You'll see friendly faces at trailside stops in Haugan, De Borgia and Saltese, with designated trails, open meadows and scenic views. In Haugan, popular groomed trails on the Lolo National Forest are Ford Hill/Old Mullan Pass, Packer Creek/Randolph Creek, Milwaukee/Dominion, Big Creek, Deer Creek/ Up Up and Taft Summit. These are easy-to-intermediate trails that follow travel routes and provide loop tours. Haugan is on the I-90 Montana-Idaho border in northwest Montana, 90 miles west of Missoula on I-90 and 110 miles east of Spokane. 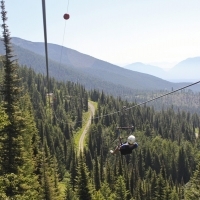 The mountains of Kootenai Country provide breathtaking views and hours of recreation. After a day of snowmobiling in the Purcell Mountains (via US Highway 2), drive to Troy or the nearby Scandinavian town of Libby and enjoy the atmosphere and congeniality that the area and its residents offer. 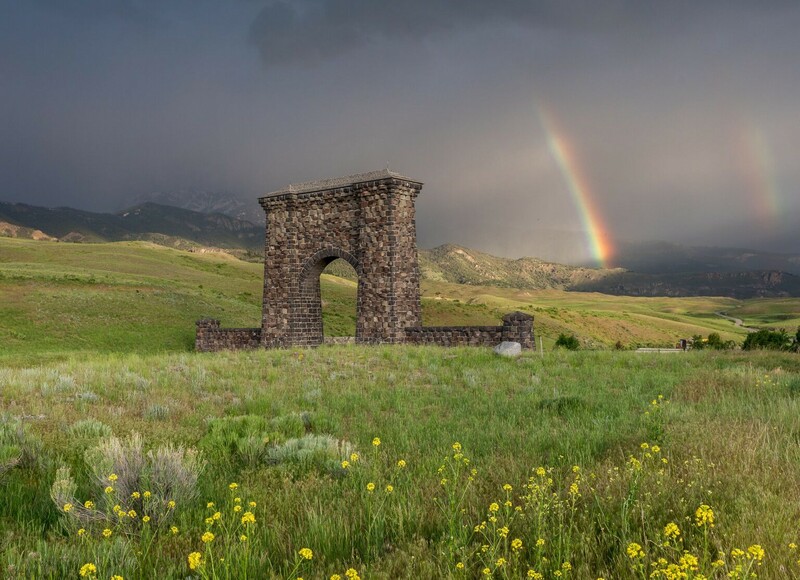 On the northeast side of Kootenai Country (via US Highway 93), Eureka, Trego and Fortine offer historical views of small town life in Montana. 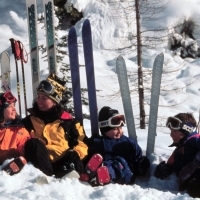 Several groomed trails are available throughout Kootenai Country. Of special note is the rugged Keeler-Rattle Trail System, giving views of the Cabinet Mountains Wilderness and the proposed Scotchman Peaks Wilderness; the 60 miles of loop trails in the Purcell Mountains; and the Pete Creek Trail traveling into mountain bowls and alpine lakes. 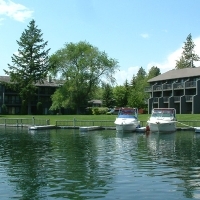 The Grave Creek/Ten Lakes Trail begins at the Birch Creek Recreation Site parking facility and leads into the northeast corner of Kootenai Country. 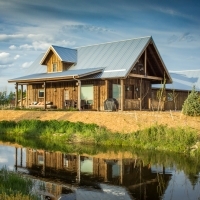 The northwest corner of the state is where you'll find Kootenai Country. Nearest airports are Kalispell (65 miles southeast of Eureka, 90 miles southeast of Libby) and Spokane (160 miles west of Libby). Libby and Eureka also have smaller airports. 506 US Hwy 2 W.
At Lolo Hot Springs visitors enjoy the same soothing waters that bathed the weary members of the Lewis and Clark Expedition nearly 200 years ago. Starting at either Lolo Hot Springs or at Lolo Pass 7 miles west, snowmobilers can conduct their own modern-day explorations using 250 miles of groomed, connecting trails in the Lolo and Clearwater national forests. A parking pass is required at Lolo Pass. 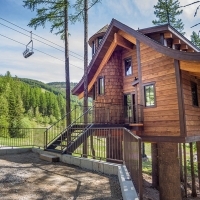 A series of interconnecting loop trails straddle two national forests on the Montana-Idaho border. East Fork, Lost Park System, Elk Meadows and Moose Ridge are just some of the trails that lead deep into the heart of the Bitterroot Range, with lots of meadows and play areas along the way. Lolo Pass is on US Highway 12 at the Montana-Idaho border 45 miles southwest of Missoula. Nearest airport is in Missoula. Few people are content merely to look at the Mission Mountains. Maybe more than other mountain ranges in Montana, these jagged peaks beckon visitors to come closer and explore. Because the trails are on the Flathead Indian Reservation, snowmobilers need special recreation permits widely available at gas stations and convenience stores on the reservation. Snowmobiling is prohibited in the Mission Mountains Wilderness Area. The Boulder Trails start just off MT Highway 35 near Finley Point on Flathead Lake. The first 10 miles are groomed to the top of the range, where the trail connects with nearly 60 miles of ungroomed trails through forest openings. The ungroomed Jocko Lake Trail provides a 35-mile ride over the Missions that connects with groomed trails on the Seeley Lake side. Ronan is between Missoula and Kalispell on US Highway 93 in Western Montana. Nearest airports are Missoula, 55 miles south and Kalispell, 65 miles north. Tucked between the Mission Mountains and the Swan Range on scenic MT Highway 83, Seeley Lake is one of Western Montana's most popular year-round recreation areas and a prime snowmobiling destination during winter, with 350 miles of groomed trails. Starting from town, snowmobilers can fan out in nearly every direction to scenic lookouts, cozy lodges, cafes and backcountry lakes for ice fishing. Popular trails include Double Arrow Lookout, with views of the Swan Range and Clearwater Valley; Elsina Lake, site of Sunday cookouts with the Seeley Lake Driftriders Snowmobile Club; Seeley Lake-Ovando, a favorite for those who like to dine and dash; and Marshall Lake, a scenic 15-mile loop. Seeley Lake is 15 miles north of the junction of MT Highway 83 and 200 in Western Montana. Nearest airport is Missoula, 60 miles west via MT 200 and I-90. 3583 MT HWY 83 N.
One of Montana's least-traveled snowmobile areas is one of the most scenic. In summer, the Skalkaho Highway from Hamilton to the Georgetown Lake area is a scenic alternative to I-90. In winter, it is the kind of trail that snowmobilers dream about. Closed to automobile traffic, it allows privileged views of frozen Skalkaho Falls, tall peaks and deep canyons. Skalkaho Pass Area offers 26 miles of groomed trails. From there, open areas and ungroomed trails offer a wide variety of terrain for all skill levels. The Skalkaho-Sleeping Child-Rye Creek Area has 32 miles of groomed trails, looping through higher elevations, through a burned area and back to the head of Rye Creek. The loop can also be entered from Rye Creek, south of Darby. Access to the Skalkaho snowmobile area is 2 miles south of Hamilton, then 15 miles east on Skalkaho Highway 38. Hamilton is 50 miles south of Missoula on US Highway 93 in southwest Montana. Nearest airport is located in Missoula. The Montana legislature passed a law that requires snowmobilers visiting Montana to pay a fee to support the grooming of snowmobile trails. A visitor who plans to ride his/her snowmobile in Montana this winter must purchase a non-resident temporary snowmobile use permit for $25 per machine. Permits will be available December 1 from FWP license agents, some snowmobile equipment retail businesses, hotels and motels and other business serving snowmobilers. The best advice to snowmobilers planning a snowmobile vacation is to complete the application online at the Montana State Parks website. For more information, visit the Montana State Parks web page or call Montana Fish, Wildlife and Parks at 406.444.2950. Avalanche is a real and present danger. Carry and know how to use avalanche equipment, including transceivers, probe poles and shovels. A wall of moving, suffocating snow leaves few survivors in its wake. The best way to avoid an avalanche is to understand avalanche conditions and reroute your trip to avoid them. Avalanches occur when loose snow or a slab of snow starts moving down a slope. They are triggered by a variety of slope, snow and weather conditions; many times they are triggered by human impact. Slope conditions to watch out for are steep slopes or smooth, open slopes. Short slopes can be as dangerous as long ones. Leeward slopes are dangerous because wind-deposited snow adds depth and may create unstable slabs of snow. Avoid avalanches by staying away from mountainous terrain after heavy snowfall or prolonged periods of high wind. Avoid crossing steep side hills or entering narrow, steeply sided canyons. The safest routes are on ridge tops and on the windward side, away from cornices. The next safest route is out in the valley, far from the bottom of a slope. Call out so other members of your party can track your location. If snowmobiling, discard all equipment and get away from your snowmobile. Make swimming motions and try to stay on top; work your way to the side of the avalanche. As you feel the avalanche slow, try to thrust your hand, other part of your body or ski pole, above the surface. Before the snow settles, slip your arm in front of your face to clear an air space. Try not to panic; you need to conserve oxygen. Mark the place where you last saw the victim and keep your eyes fixed on the moving mass of snow in which he or she is trapped. Search for the victim directly down slope from the last sighted area when the snow stops moving. Use a ski pole or stick to probe the snow. Stay with the victim unless help is only a few minutes away; after 30 minutes, the victim has only a 50 percent chance of survival. If the victim is found, treat for hypothermia, suffocation and shock.